Indian consumers are now truly global yet remain true to their cultural roots. Our exciting and lifelong study of Indian consumers began about forty years ago, when we began our careers as freshly minted MBAs from IIM Calcutta in a market research agency in Mumbai. Back then, India was economically anaemic, inward-looking, and minimally connected with the rest of the world. Our consumer studies then informed us that economically, consumers had a saving mind-set, frugal, and were constrained by a limited income that barely exceeded their expenses for daily necessities. Culturally, they were strongly rooted in their traditions and were vary of foreign influence. In terms of hedonic consumption, movies were the only escape from reality they could afford and Bollywood films provided the perfect panacea to cope with life’s challenges. Travel, the real physical escape, was expensive and they travelled only when they had to, mostly to religious destinations or to attend social functions. The world beyond mostly existed only on Doordarshan, and hardly influenced their daily lives.As Maslow, an eminent psychologist, might have observed Indian consumers were primarily motivated to take care of their physiological and safety needs with limited resources and limited choices. Ever since India welcomed globalization, consumers have been riding a wave of affluence that has transformed them along both economic and cultural dimensions. Globalization has not only increased the discretionary income of the consumers leading to a surge in consumption, but it has also exposed them to a wide range of culturally challenging values and lifestyles from abroad. Indian consumers are changing in response to the global trends that are impacting them. They are ascending the ‘Hierarchy Pyramid’ by moving beyond the basic physiological and safety needs to satisfying higher order social and self-esteem wishes. Read the full article as published in Consultants Review. 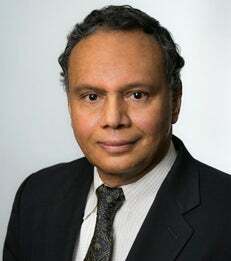 Durairaj Maheswaran is Paganelli-Bull Professor of Marketing and International Business.